Well this project is a moving target. I'm starting to think it will never end. With the D4Y1 'Judy' done I thought I just had the last kit to do. But as I read on I found more references to both the E8N2 'Dave' and the J2F Duck so I thought "What the heck, if I'm going to do this I might as well go all the way. In my last post I had just built an E8N1 'Dave' half way realizing that I really needed an E8N2 for Midway. At that point I was prepared to just give the 'Dave' a miss in the project. 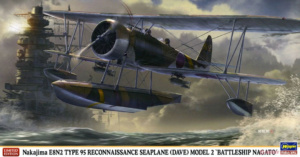 But then I read 'Shattered Sword - The Untold Story Of The Battle Of Midway' by Jonathan Parshall and Anthony Tully where I found a passage of an E8N2 who actually had a brush with the opposition. So I changed my mind. Finding an E8N2 on Ebay was no trouble so now I'm half way done with the right version. The only trouble is that I lack references on camouflage and markings so some educated guesses will have to be done. However there are some good hints on the markings in the book. This have to be the last Japanese plane in this project. 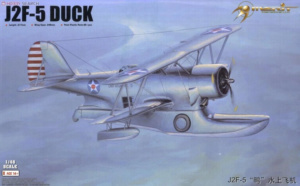 On the web I found some more references to the Duck at Midway. The only plane totally destroyed on the ground at Midway. That's also a sort of claim to fame. Finding the right version, a J2F-2, was not that simple. 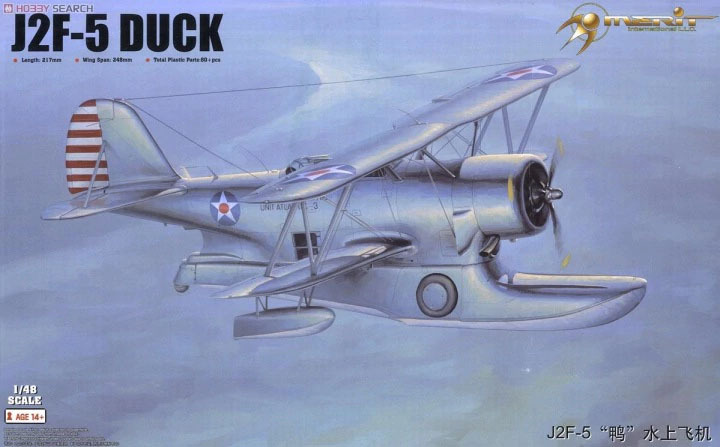 After some hunting I found a copy of Classic Airframes 'Grumman J2F-1, 2, 2A, 3, 4 Duck'. However upon receiving the kit it was a bit of a disappointment. Even it it contained good resin details etc. it was a bit empty on the inside and the landing gear construction looked like a unnecessary challenge. Therefore I went and bought Merit Internationals 'J2F-5 Duck' and have a plan to merge the two kits to get a reasonable J2F-2. It's mainly the engine cowling's that differ. 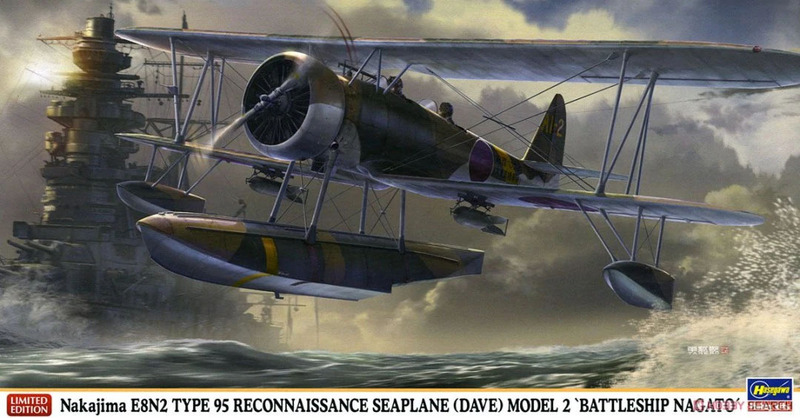 After these two there is only the final SBD-3 Dauntless to finish. It will take some more time though. 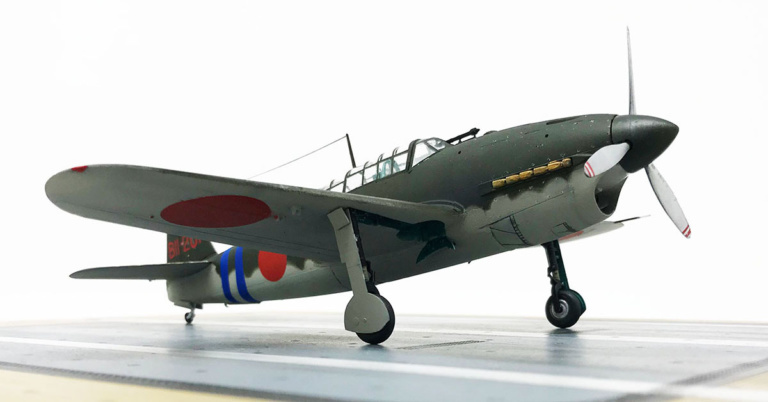 I'm getting a bit tired of Midway by now so I'm squeezing in a few other kits onto my work bench, like Johnny E Johnson's Spitfire Mk.IX.